This past winter we told you all about Vision Engineering's state-of-the-art Mantis Compact Stereo Microscope ("Vision Engineering Mantis Compact Stereo Microscopes: Low Cost, High Performance"). Well, summer's here now and so is a great opportunity to save more than 25% on the powerful, versatile Compact line of visual inspection microscopes. 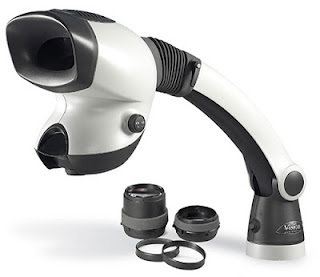 Beginning on June 1, 2013, and extending through September 30, 2013, Vision Engineering has dropped the prices of a wide choice of Mantis Compact microscopes and lenses. This is a can't-miss chance to get incredible savings on the ground-breaking, eyepieceless Mantis Compact technology. 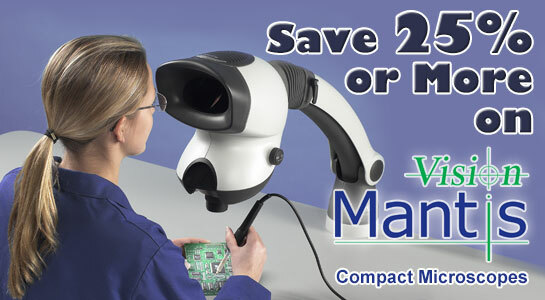 For more information about this promo, or to place an order for an eligible Vision Engineering Mantis Compact product, please visit QSource.com, give us a call at 800-966-6020, or contact us via email. For related products, please visit our Vision Engineering Department.